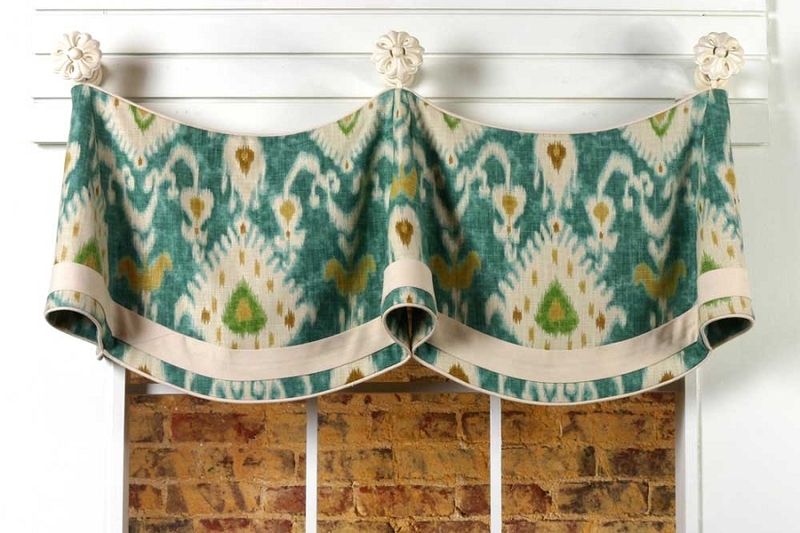 This simple, yet smart tab valance with banding along the top and bottom edge can be adapted to fit any size window. Be sure to purchase our bias tape maker and Steam-A-Seam2 for easy band application. 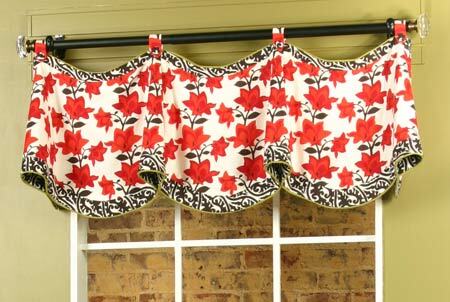 The valance can be mounted on knobs with post adapters or on a curtain rod with rings. Q: I just received the Haley pattern. I like the look but without the tabs on the top. 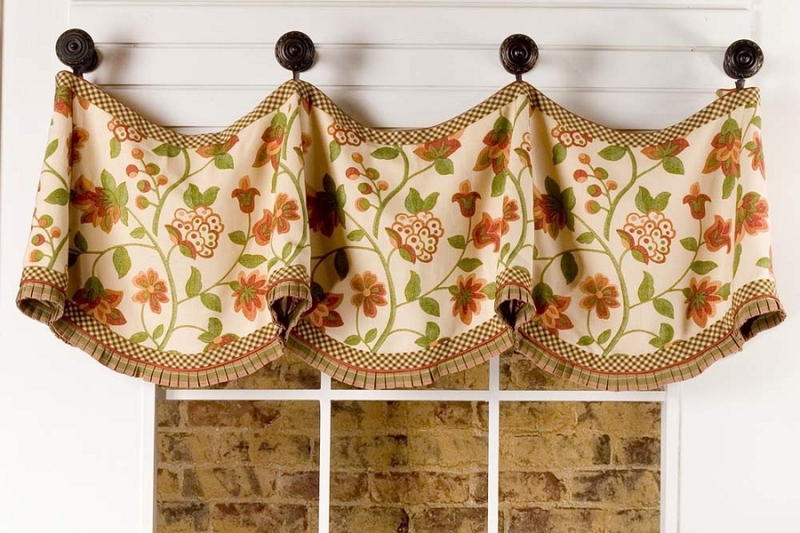 Can I just cut them off and use the pattern like the Claudine valance was made and installed? 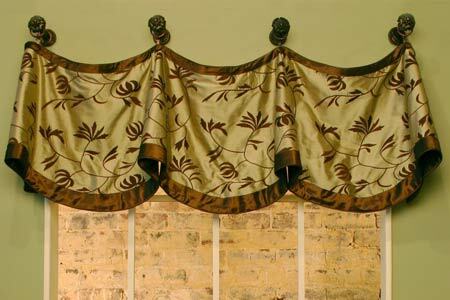 Q: How wide of a valance does the pattern make? I have very large windows. 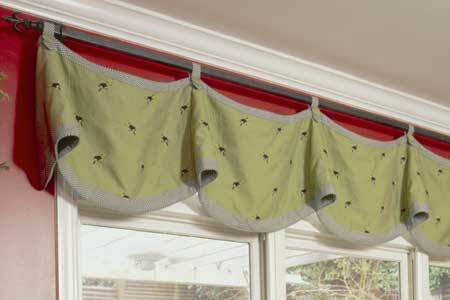 Q: How does the Claudine valance look shorter, say 14-15" with three swoops on a window? Q: Could this particular pattern be used on a bay window or would another pattern work better? 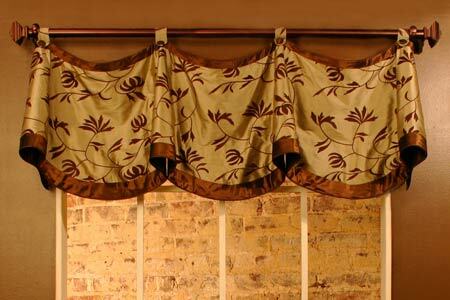 Q: What is the fullness of this valance? Is it the same as drapes or is it basically the width of the window? Q: Would the Claudine pattern work well on a series of four windows (40" wide each) with a combined width of 13'10"? Is the pattern adaptable to accommodate such a width? Q: Is this pattern one of your easiest to make? If not, which one would your say is your easiest pattern? Q: Would it look proportionate to add length to the outside horns of the Claudine valance to mimic the Cuff-Top valance outside edges? 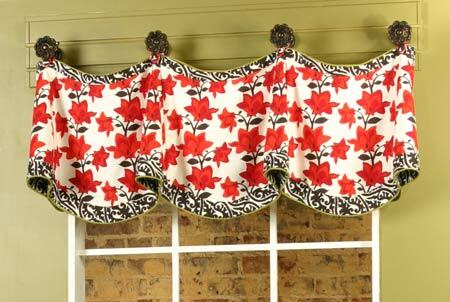 Q: I have the pattern for the Claudine valance but have lost the directions, is it possible to get those? Q: Can the pattern be easily altered.... width of main pattern piece, horn etc? 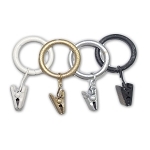 Q: One photo show the valance hanging from clip-on rings. The link for details show tabs on the pattern. Do the instructions include making this change to use rings and not tabs for mounting? 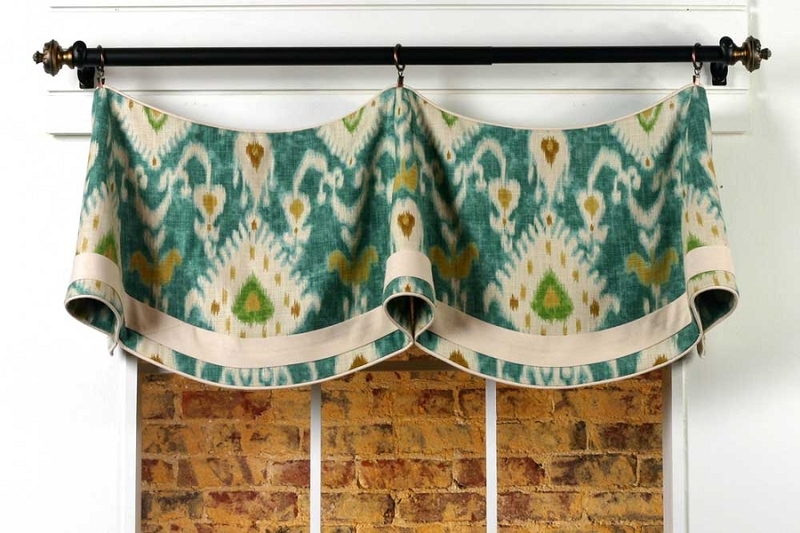 Q: Can the CLAUDINE VALANCE pattern can be used for a window that is 27" wide?